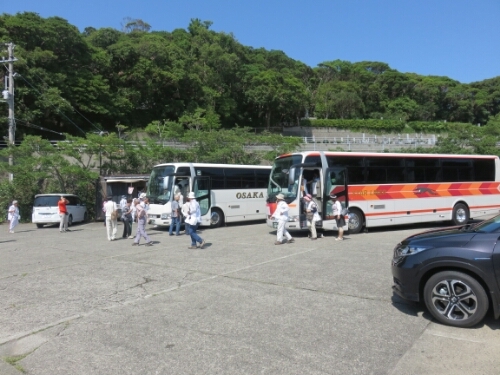 As part of my trip in Japan I was very keen to undertake the Shikoku pilgrimage. 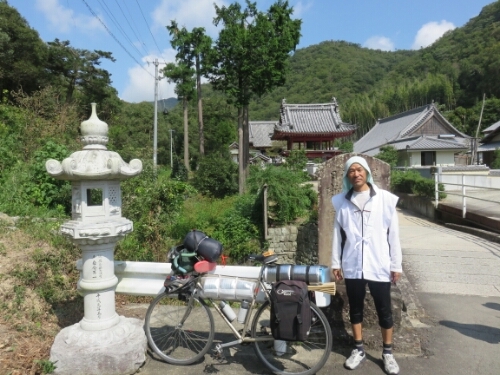 I had wanted to do this pilgrimage ever since I had heard about it when I was living in Japan and had had it in the back of my mind to do it by bicycle ever since I had the idea for my round the world trip and had begun the ride. 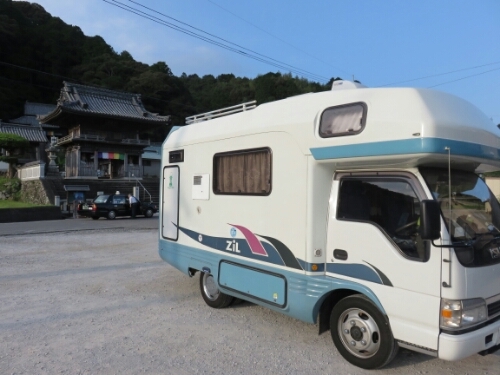 So I was excited to be finally in Shikoku and about to start. 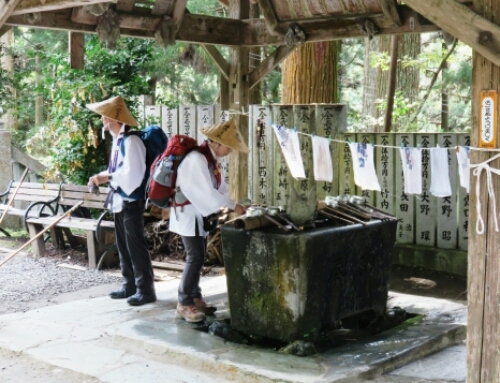 The Shikoku Pilgrimage or Henro is said to be around 1200 years old and has been popular since the end of the 17th century. 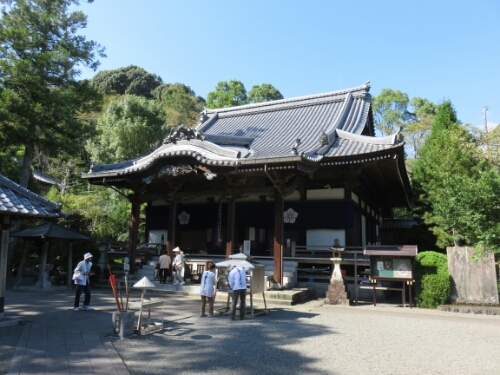 It involves visiting 88 Buddhist temples around the Japanese island of Shikoku. These days the pilgrims or henro come for many different reasons from those with strong Buddhist faith to tourists like myself. 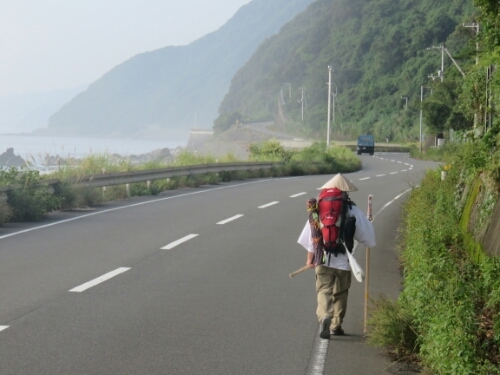 Traditionally the pilgrimage was performed on foot and was an arduous 1200km around the four prefectures of the island. 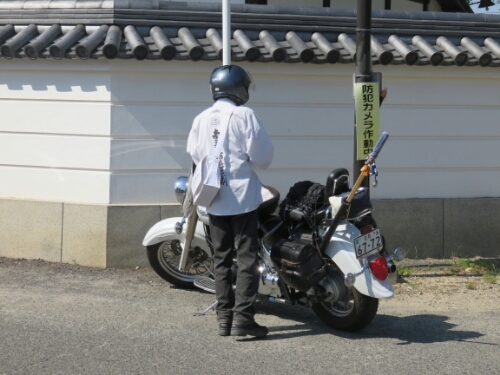 I’d been lucky enough to be hosted by the Tokunaga family in Imabari and they had given me a lot of useful information on how to undertake the pilgrimage. As I spoke to them I realised how unprepared I was, I’d basically planned on turning up, finding a map and starting off. Speaking to them it became clear I wouldn’t just need a map but a map book – it apparently wasn’t easy to find all the temples. 1) At the main gate you are supposed to bow facing the Main Hall as you arrive. 3) Next you should go to the bell tower and ring it to announce your arrival. 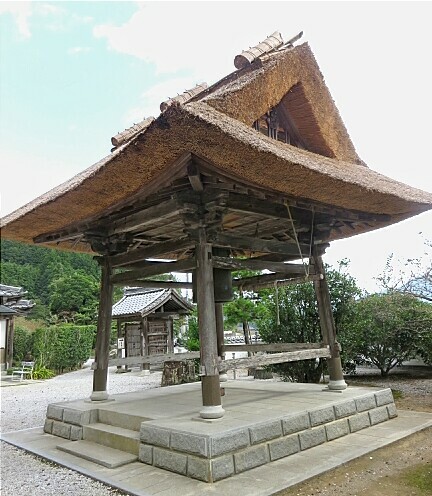 4) Having done this you should go to the Main hall and light incense and a candle – then ring the Main Hall’s bell place your name slip in the box and place a donation in the offertory box. Finally for this part you should put your hands together and recite the sutras. 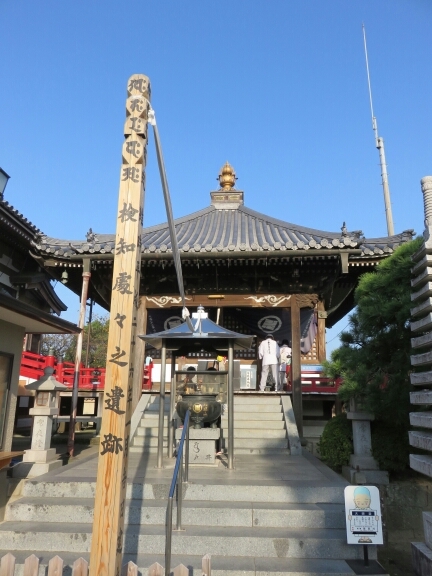 5) Once you have finished worshipping at the Main Hall you should go and worship in the same way at the Daishi Hall. 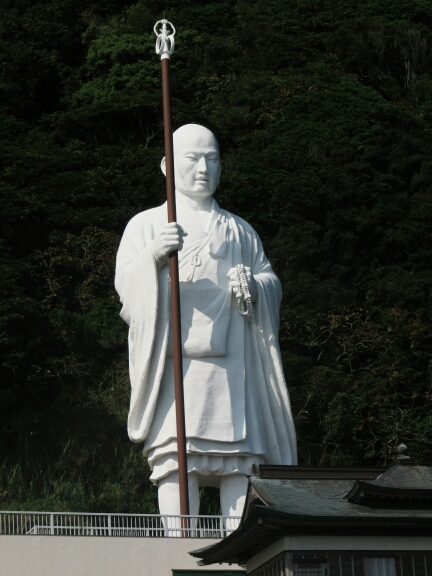 Kobo Daishi is considered to be the founder of the pilgrimage and an important figure in Japanese Buddhism. 6) Once you are finished worshipping you should leave by the Main Gate bowing once as you leave. Armed with this knowledge I felt that I would be better able to appreciate the journey I was planning on undertaking. I knew the way to the first temple I was planning on visiting; here I hoped I would be able to pick up a map book so I could carry on and find the other temples. 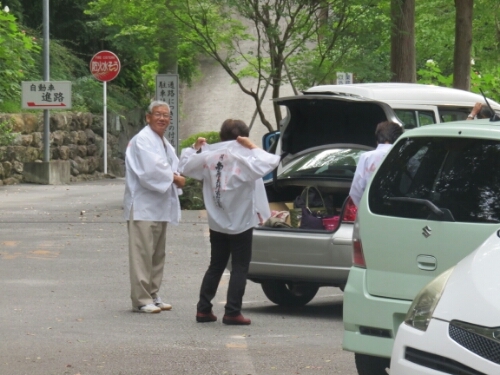 Traditionally, as you might expect, people start at Temple 1 near Naruto City in the eastern part of the island. I’d arrived in the north west part of the island close to temple 54 as this is where the cycle route onto Shikoku I’d taken had finished. 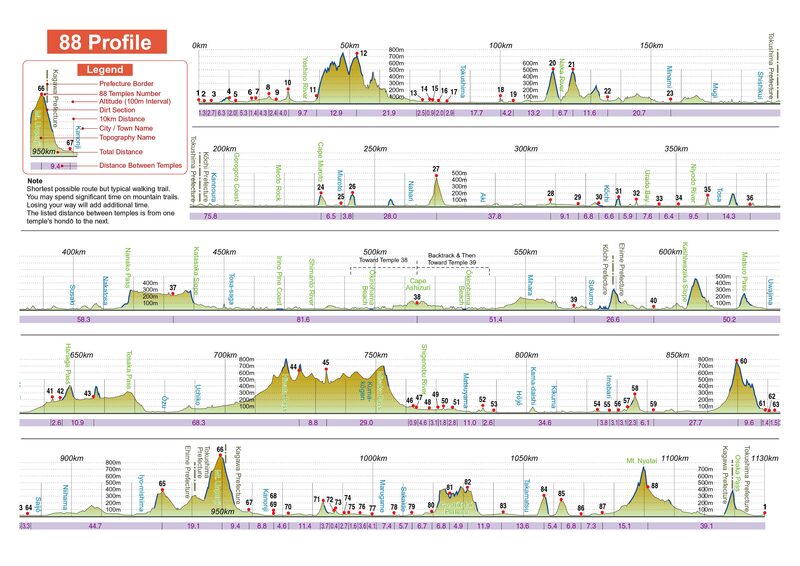 I would thus be starting at Temple 54 and finishing at Temple 53. Apparently this wasn’t a problem and you could start where you wanted so the temples in any order or any direction. It sounds like it was very much up to you. I wanted to at least do all the temples in order if not from 1 to 88 and I also wanted to do it in one go. 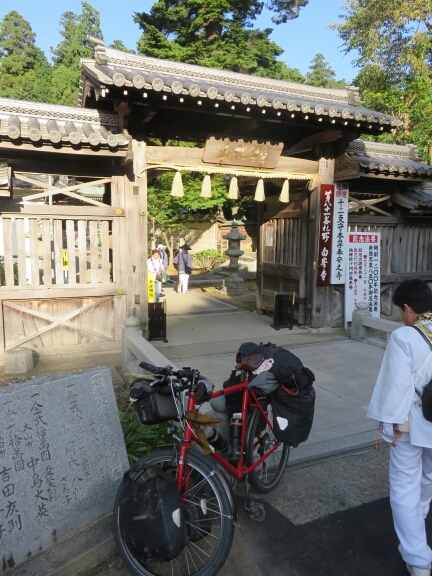 It was also important to me to get the bike as close to the entrance of each temple as possible even if this meant some very steep climbs. I wasn’t sure this would always be possible as apparently some of the temples are up stairs which are not something I can negotiate on my bicycle. I found this elevation map for walkers which gives a good idea of what I would be up against. While it never gets up really high it does go up and down a lot and often very quickly. I knew bicycle was not an uncommon way of doing the pilgrimage so I was fairly confident I would manage.